Jeff Boyd is currently an associate professor in the Department of Computer Science at the University of Calgary. He was previously at the Visual Computing Laboratory at the University of California, San Diego, TRIUMF, and the Department of Computer Science at the University of British Columbia. His research interests include computer vision, video, optical flow, motion, and interactive art. Jeff completed his PhD in the Computer Science Department at the University of British Columbia in 1994. He completed his BSc and MSc in Electrical Engineering at the University of Calgary in 1983 and 1986 respectively. 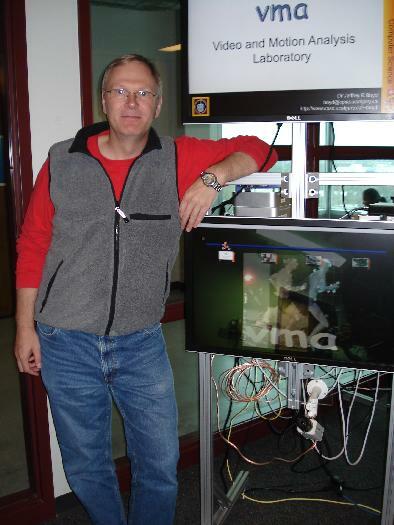 From 1996 to 1997 Jeff held an NSERC postdoctoral fellowship while he studied at the Visual Computing Laboratory at the University of California, San Diego.